Want to quit smoking? We can help. A healthy lifestyle is the key to continued wellbeing. Changing your lifestyle for the better takes time and real effort. But you can do it. And it's worth it: Quitting tobacco can reduce your risk of heart disease and stroke and greatly improve your self-esteem and quality of life. The American Cancer Society offers a free quit line, 1-877-YES-QUIT free. Callers can receive counseling sessions, access to self-help booklets, advice about support programs available locally, and more. For more information, visit YesQuit.com. UTA offers tobacco cessation educational sessions by appointment only that are free for all students, faculty, and staff. To schedule an appointment, contact the UTA Health Services at 817-272-2771. Professional help through the Employee Assistance Program is available for tobacco cessation and many other types of concerns that may affect your quality of life. Quitting smoking takes desire, determination, and support. That's why UT Select has developed a motivational toolkit that can help members who are ready to take steps toward this major lifestyle change. The program offers guidance and support with licensed wellness coaches. 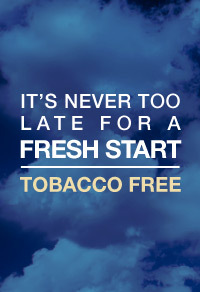 Call 1-800-462-3275 to register or visit http://www.livingwell.utsystem.edu/tobacco.htm.